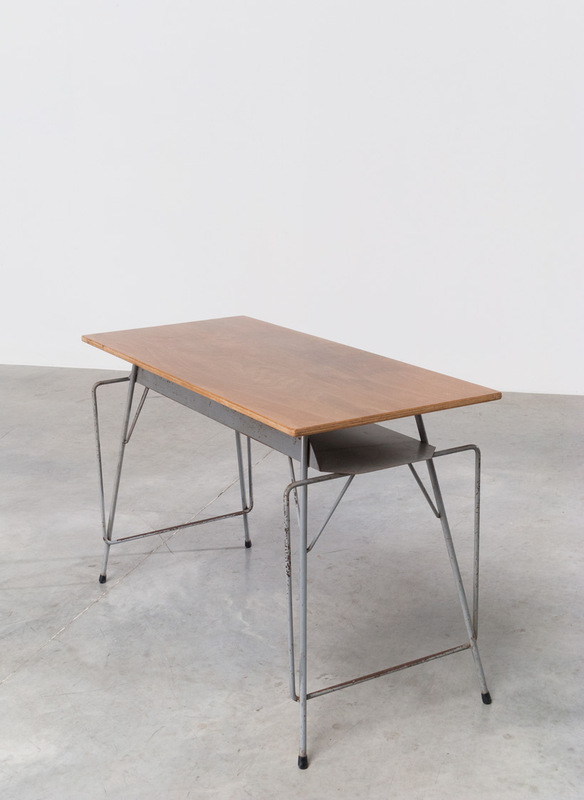 Desk writing table designed by Willy Van Der Meeren for Tubax 1953. Modern Belgian Social furniture. Grey metal structure with wooden platform. Underneath the table top place for books and papers. For the F2 chair. Table d'écriture (bureau) conçu par Willy Van Der Meeren 1953. Structure en métal gris avec plat forme en bois. Sous la tablette de la place pour vos livres et papiers. Pour la chaise F2.